In just one year back in Formula 1 resulting in the Lotus Racing team's 2010 on-track campaign without scoring points as a new outfit, it could be said that Lotus has at least mastered the art of gaining publicity. Having officially announced in the last weeks of the 2010 Formula 1 season their agreement to replace Cosworth engines with Renault power for 2011, paddock buzz surrounded the possibly that the Lotus Racing and Group Lotus' parent company Malaysia's Proton Group was considering a venture with another Formula 1 team for the next season. These rumours have turned to reality December 8th as Group Lotus and Genii Capital publicized their new partnership called Lotus Renault GP. With Genii Capital existing as a stakeholder within the current Renault F1 effort, Group Lotus is certified as a holding equity share in the new Lotus Renault GP team. Unveiling the 2011 team's new livery, a black and gold car accented with touches of red bares a close resemblance to the John Players Special paint scheme used during the original Team Lotus' last great heyday. Unlike the Lotus Racing team where Proton has merely provided licensing of the British auto company's name, the car company has a ownership stake with Lotus Racing GP for the 2011 Formula 1 season guaranteed to feature Robert Kubica as the #1 driver. Russia's Vitaly Petrov has a 50/50 chance with returning to the ride for 2011. Questions exist where how the new agreement will affect the current Lotus Racing (or Team Lotus). Using the famous British sports car builder's name under license, Lotus Racing has presently stayed largely mum on the formulation of the Lotus Renault GP team. However, on Lotus Racing's team principal Tony Fernandes twitter page one message posted following the Wednesday announcement read "Dany bahr has done us a favour. Never felt better about our future and Team Lotus. Looks like the trying to hijak our black and gold idea.". It should be noted that the past few months have consisted of rumours that Proton Group and the Lotus Racing team have not been on the greatest of terms. While it seems that there will be a Team Lotus and a Lotus Renault GP team competing on the 2011 Formula 1 grand prix circuit, the biggest question being immediately presented is what will be the team livery of the 2010 Lotus Racing team. Having planned to change to the black and gold racing colours, the Lotus Renault GP team has apparently taken possession of the paint scheme. 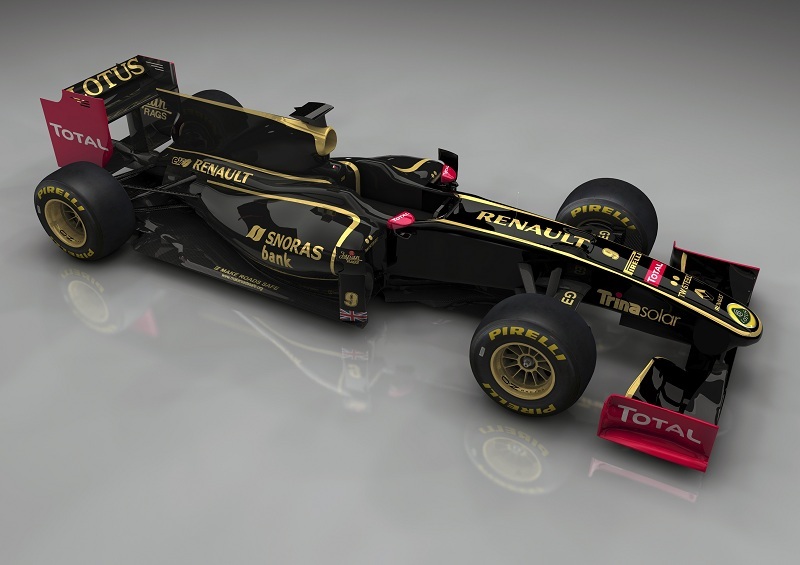 Whether the Team Lotus organization will stick with green and yellow or which to another team colour is unsure.